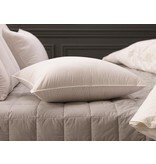 Down & Bedding Basics Std. 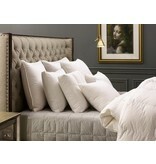 pillows have 22 oz of Snow White Down, Queens 26oz, and Kings 31oz. Down and feathers - yes, there is a difference! Feathers are the plumage found on the outside of waterfowl; they have a two-dimensional quality with a shaft running vertically through the feather. 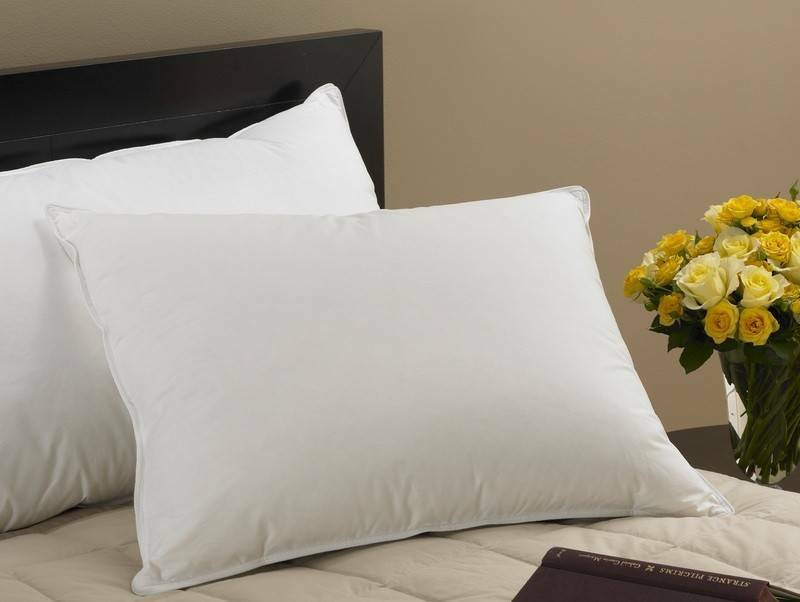 The contoured shape of feathers provides a supportive quality which makes them appropriate for use in sleeping pillows, decorative pillow inserts and feather beds. They are generally not used for insulating purposes. Down Clusters, often simply referred to as down, are the three-dimensional plumage found under the belly feathers of ducks and geese. They are nature's finest insulation, allowing waterfowl to remain warm even in the most frigid environments. Down clusters have a center core with fibers extending outward from the core, but unlike feathers there is no spine. The three-dimensional quality traps air and maintains warmth without a great deal of weight. 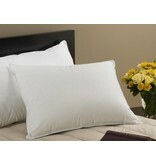 Down is also very breathable and allows moisture to evaporate quickly. 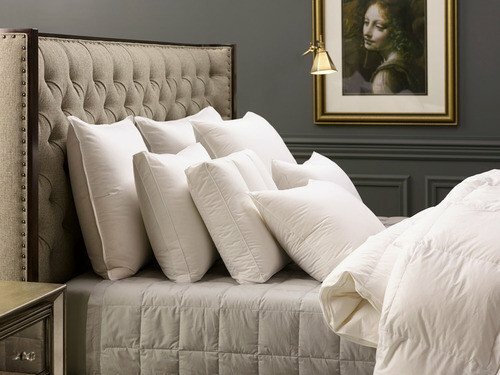 Duvet insert construction provides the performance features and aesthetic appearance of a duvet insert. Baffle Boxstitch construction utilizes vertical walls of fabric between each box; allowing the fill to achieve its greatest loft and a smoother surface texture. Sewn-Thru Boxstitch construction features end-to-end closed boxes that are stitched closed to prevent shifting of the fill material. The box shape is more visible because the top and bottom layers of fabric are sewn together. Box sizes offered include 8, 10 and 12". 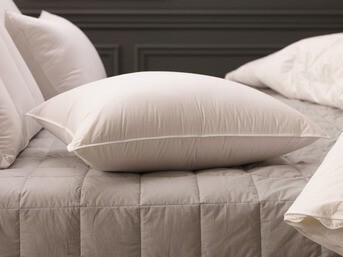 All Down inc. duvet inserts are stitched edge-to-edge and are finished using double-needle stitching and cording for enhanced durability.